UK half term typically falls on the second week of February and aside from Christmas and New Year, can be the busiest week of the season! 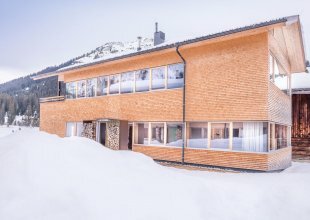 To beat the queues every morning, make sure to search for a luxury ski-in ski-out chalet which will give you fast and easy access to the slopes and lifts. Many of our luxury child friendly half term chalets have this ease of access which means you should ideally be able queue less in the mornings! If ski-in ski-out isn't available then look out for a luxury family ski chalet that comes with an in-resort driver service, with a chauffeur on hand to whisk you away to the lifts at your convenience. Be there early to beat those queues! Some of our February half term chalet choices include ski rooms with heated boot racks. Anyone with experience of skiing with children will know the struggle of trying to force feet into cold, hired ski boots. Avoid the tears and tantrums! Ski In Luxury are your one stop shop for a perfect luxury February half term holiday.